Being arrested for a DUI or DWI in Nevada does not automatically mean you are guilty. In a court of law, it is the prosecution’s duty to prove two things to get a conviction. First, they must prove that a defendant was or had been operating a vehicle. Second, they must prove that the defendant was “under the influence.” This means that the defendant was impaired or had an illegal amount of drugs or alcohol in their body. Challenging the officer’s interpretation of the events leading up to the arrest is the first place an experienced DUI lawyer will check. The fourth amendment requires that the police have a valid reason to pull you over. Just being in a bad neighborhood or driving a specific car is not a valid reason. The officer must prove probable cause to make the stop, such as a broken tail light, swerving, or reckless driving. However, a DUI checkpoint or roadblock are an exception and are considered probable cause. Reciting the alphabet backwards, touching your nose, or standing on one foot is not considered a valid field sobriety test. Many police officers will use the horizontal gaze nystagmus (HGN) test. In this test a police officer will use a pen light and shine it into your eyes to detect involuntary eye movements. This is another area that can be challenged by an experienced DUI lawyer. If your lawyer can prove that the officer is not an expert in the HGN test, or they have not been properly trained, the evidence could be dismissed. There are many factors that go into a properly administered breathalyzer test for a DWI in Nevada. Your lawyer will begin this investigation by asking if the officer was trained properly in administering the test. A breathalyzer takes many chemical factors into account when establishing someone’s Blood Alcohol Content. There are extraneous factors such as vomiting, indigestion, and the taking of medication that can affect the test. These devices are also used regularly and require constant calibration. Only a DUI lawyer can investigate if the device was properly calibrated. There is a very strict set of protocols for administering a blood test and transferring it for testing when collecting evidence for a DWI in Nevada. Samples are considered tainted and inadmissible if these protocols are not followed. Your lawyer will consider such aspects as who drew the blood and what steps were taken during the chain of custody. Only a phlebotomist can take and store a blood sample. It can take 45 minutes to an hour for the body to fully absorb alcohol. This means that while you may have had a drink before leaving from somewhere, you may not actually be legally intoxicated while you were driving. An experienced DUI lawyer can prove that your blood alcohol content was below the legal limit while you were driving but increased between the traffic stop and administration of the breathalyzer. There are several neurological problems that can cause a person to fail a field sobriety test. Be sure to disclose your full medical history with your DUI lawyer. Other factors that can be misconstrued as a DWI in Nevada by an officer include blood shot eyes and lethargy. Your fatigue could cause you to fail a field sobriety test even though you are not drunk. Blood shot eyes can be caused by allergies and other irritants. If you unknowingly drank alcohol, like in a spiked punch at a party, or you had a drug slipped into your drink then you may have grounds for an acquittal. 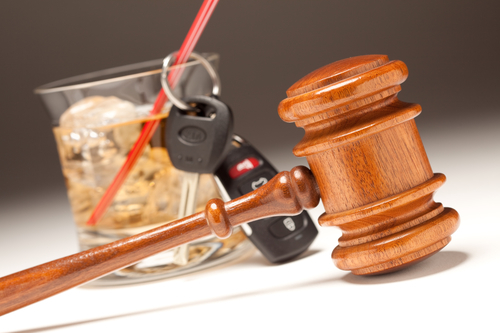 An experienced DUI lawyer can build a case based on the actions of others and in some cases get your DWI dismissed. A DWI in Nevada Needs an Experienced DUI Lawyer to Get an Acquittal.